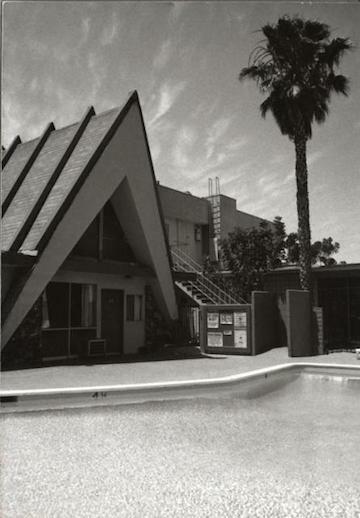 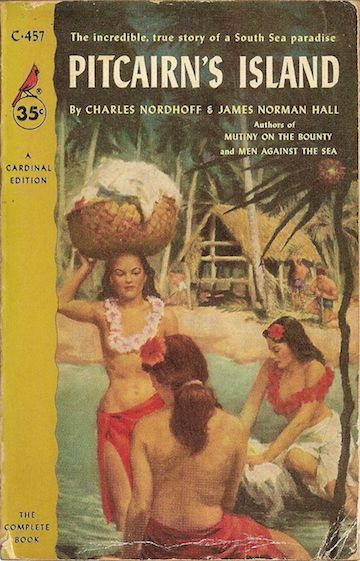 The Tiki cultural movement was by no means our first exposure to Polynesian culture. 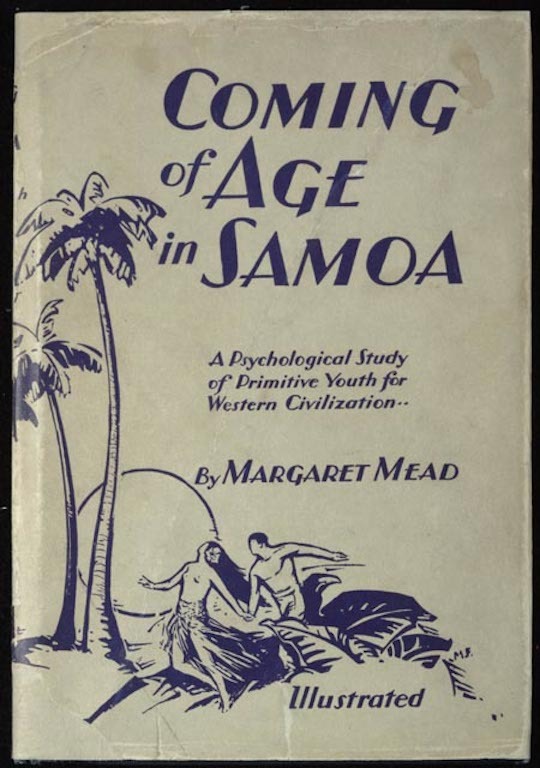 Well before the 1940s we had enjoyed exoticized visions of Polynesian, visions which set the table for the Tiki movement. 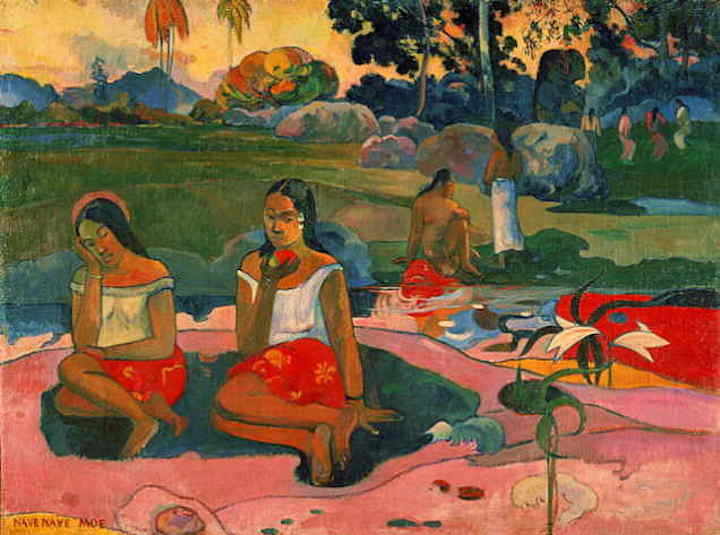 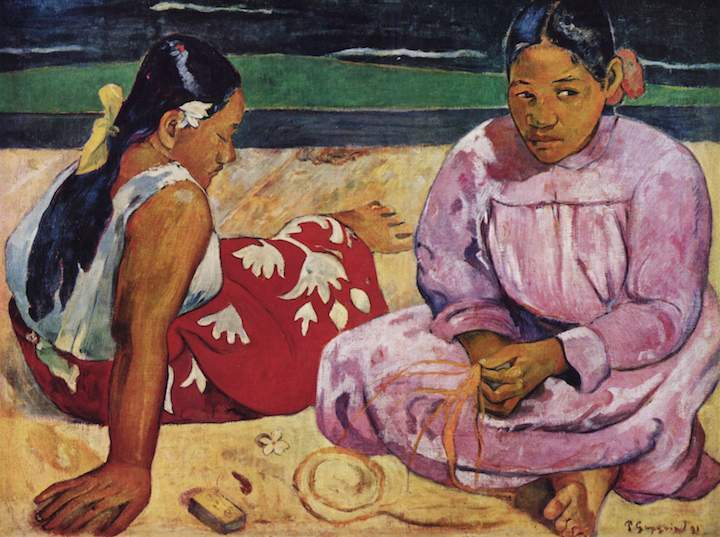 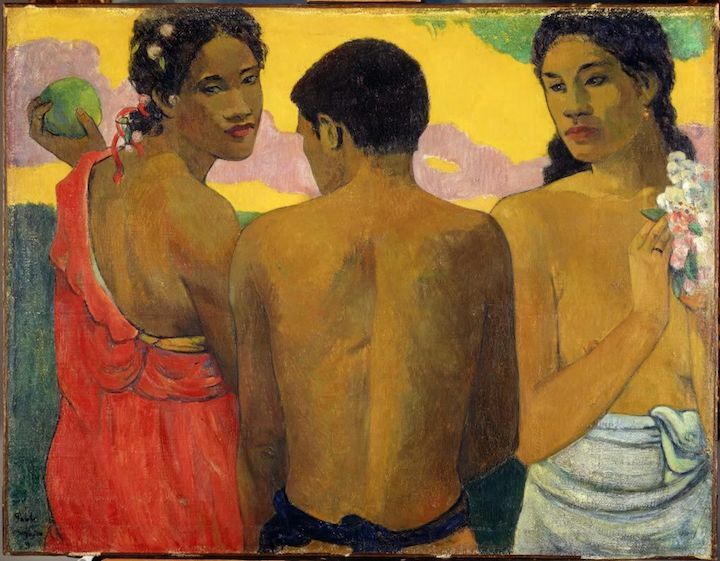 Paul Gauguin lived in Tahiti form 1891 until his death in 1903, and his primitive paintings of Polynesia were among our earliest visions of what seemed like paradise on earth. 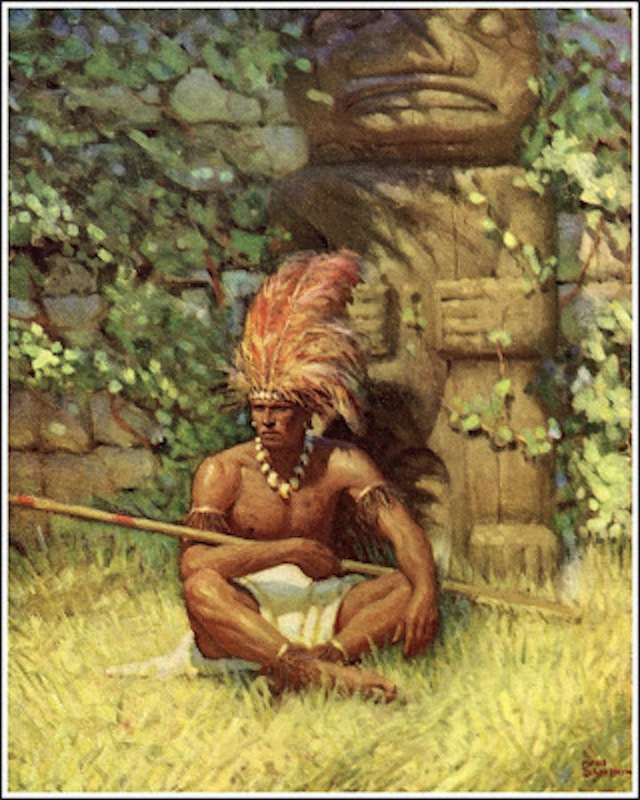 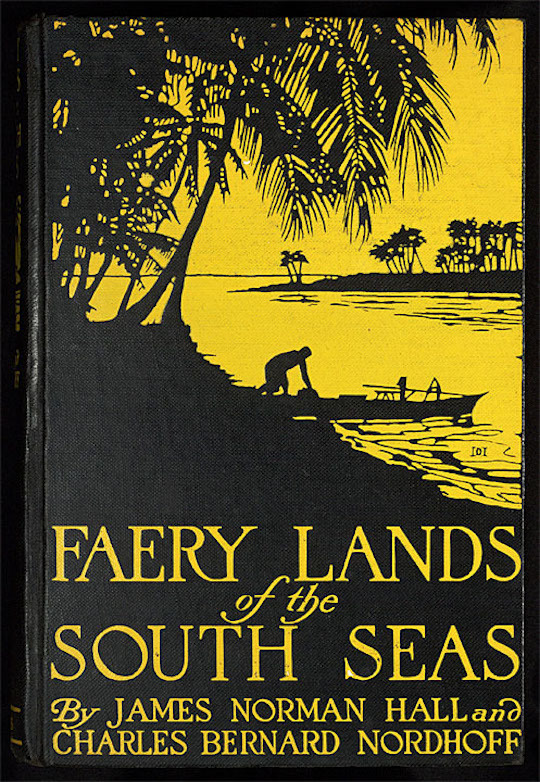 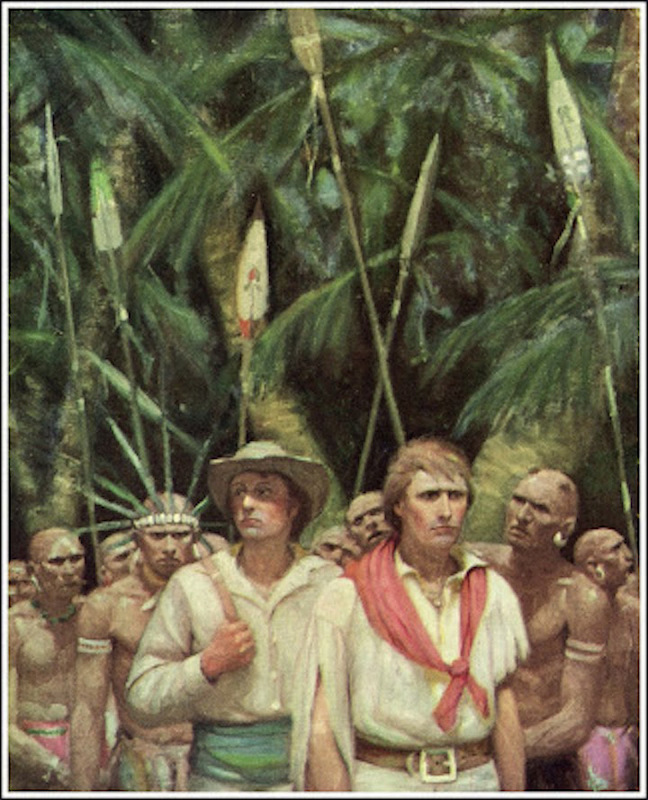 Charles Nordhoff and James Norman Hall would eventually write the Bounty trilogy, but first came Faery Lands of the South Seas, serialized in Harper’s in 1921-1922 and published as a book. 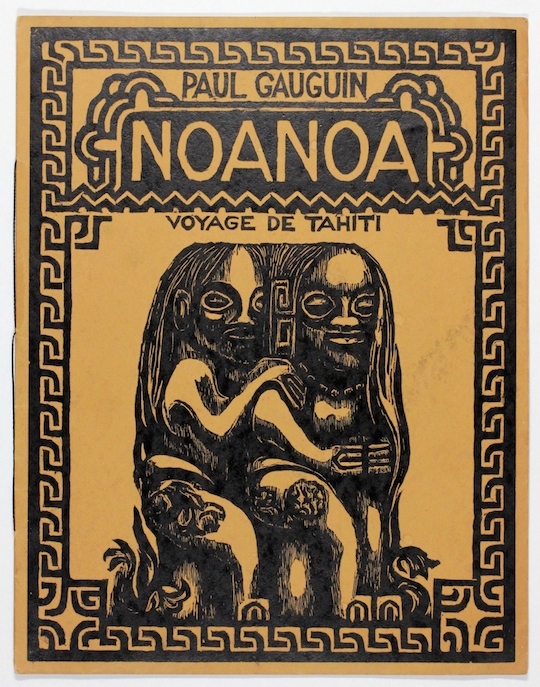 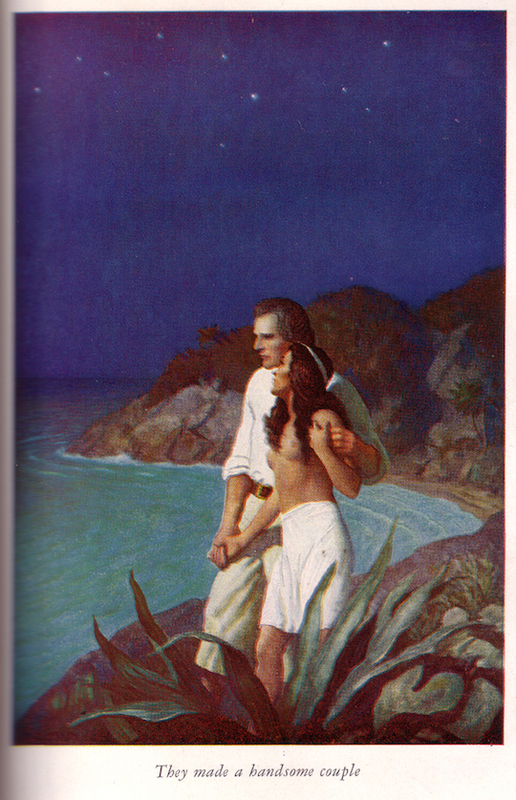 Both men were living in Tahiti, and their account of life in the South Seas was romantic and inviting. 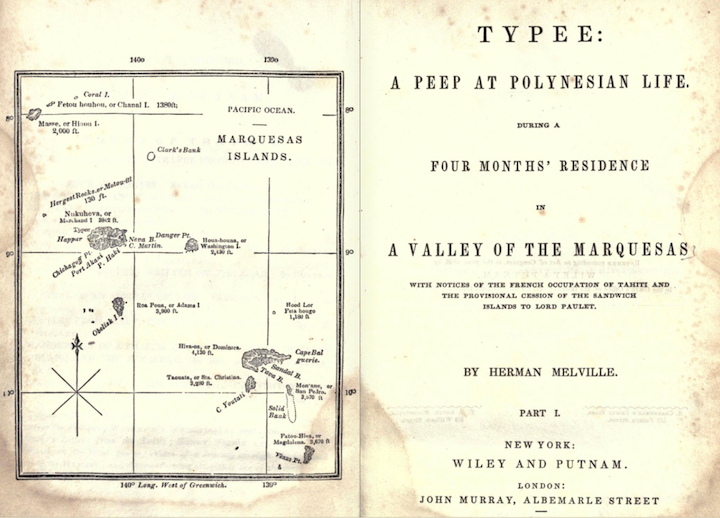 Herman Melville’s first novel to be published was Typee: A Peep at Polynesian Life, first published in London in 1846. 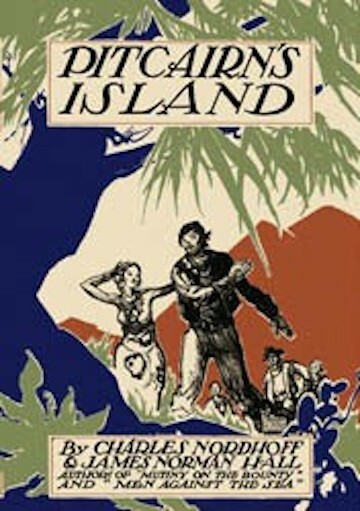 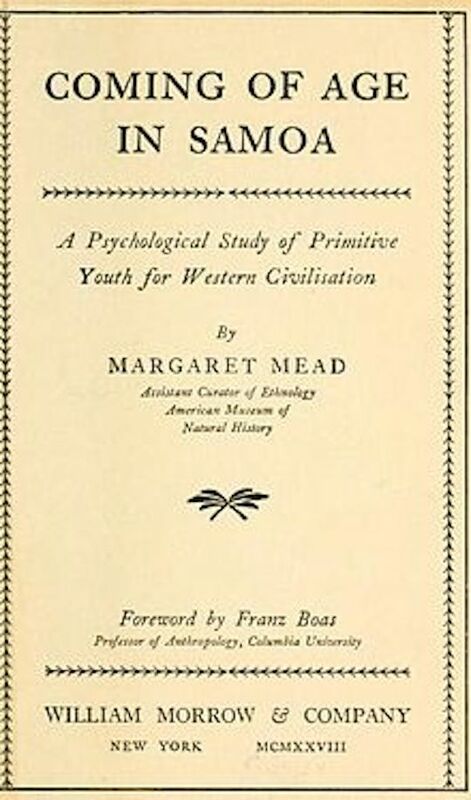 In 1923, an edition illustrated by Meade Schaffer was published. 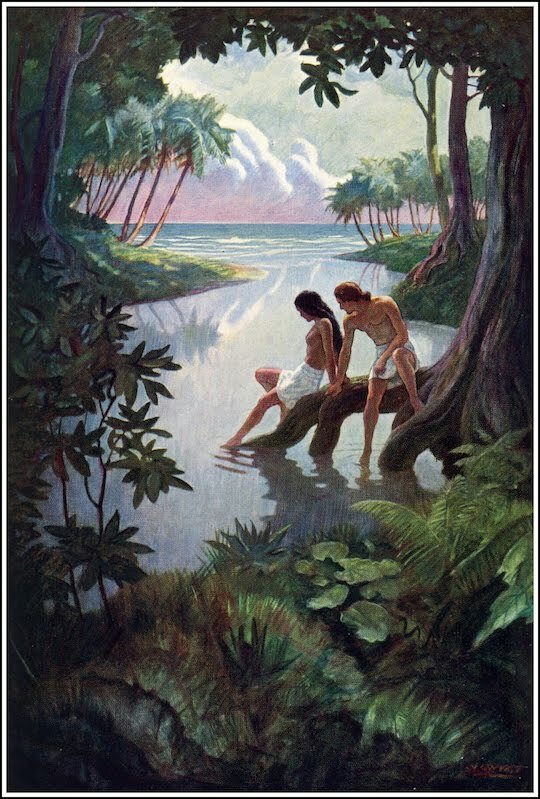 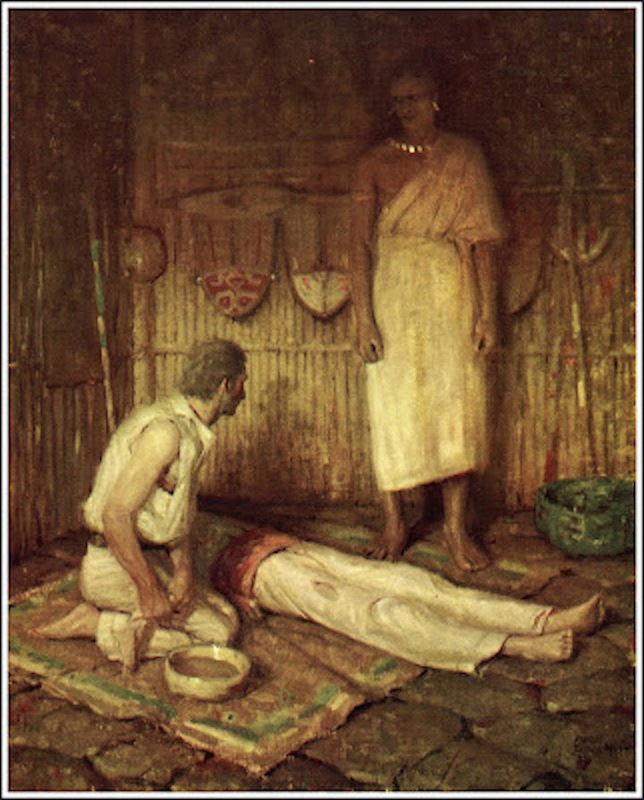 The illustrations were powerful evocations of Polynesian life. 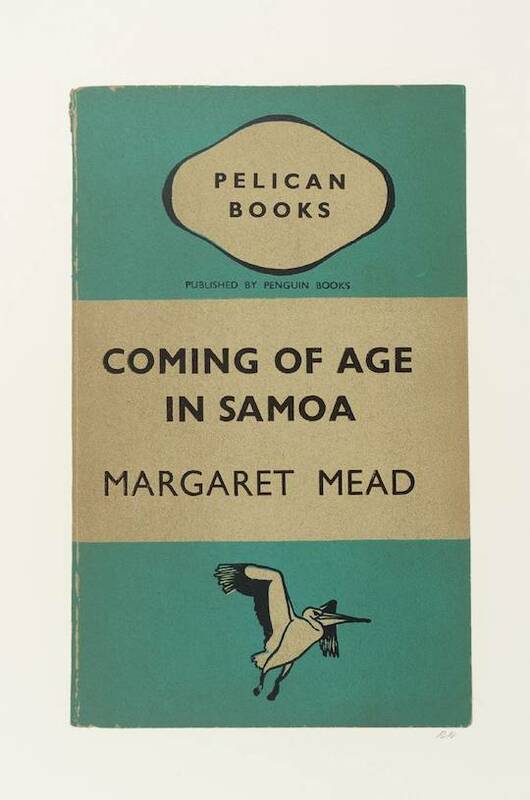 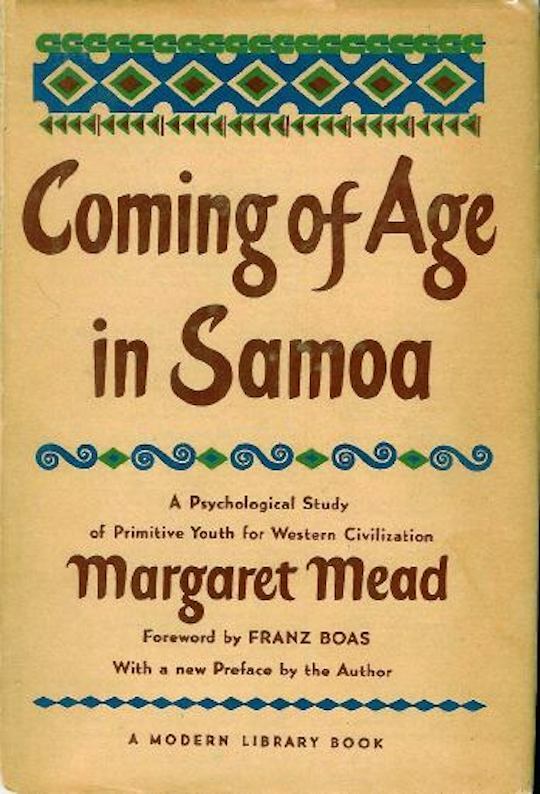 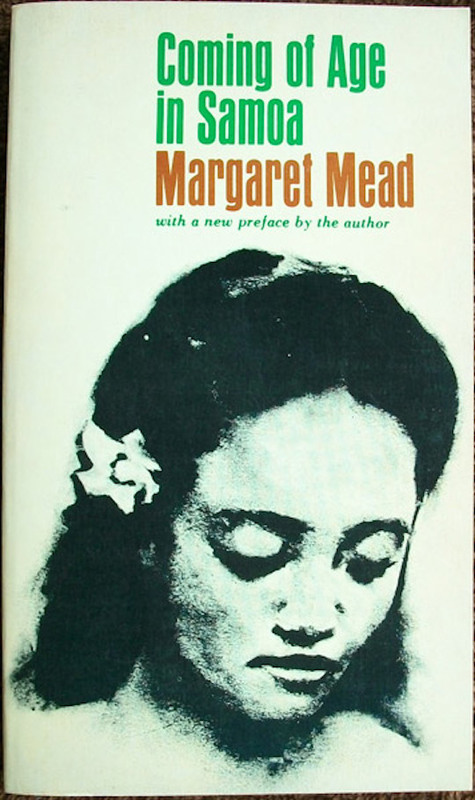 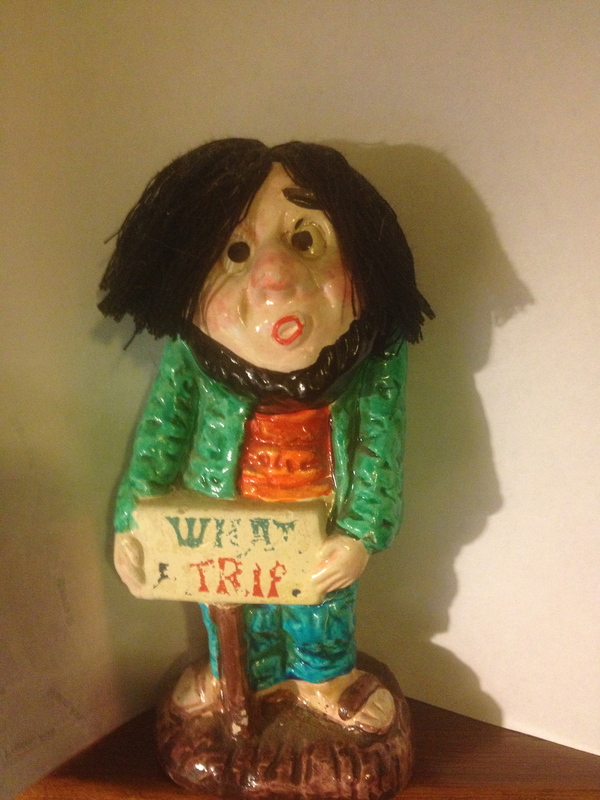 Next up – in my batting order at least – was Margaret Meade’s anthropological study, Coming of Age in Samoa. 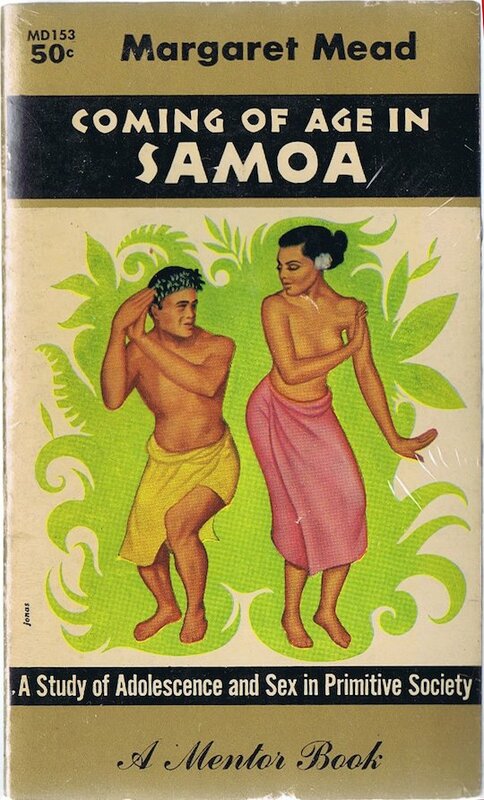 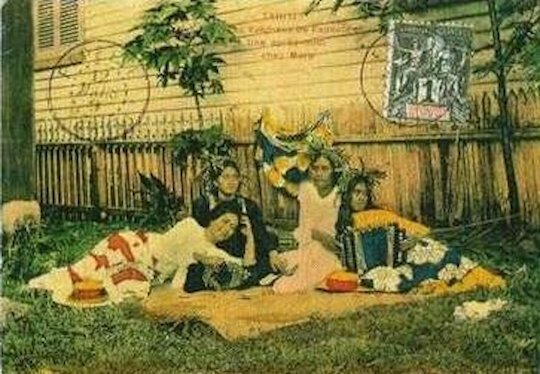 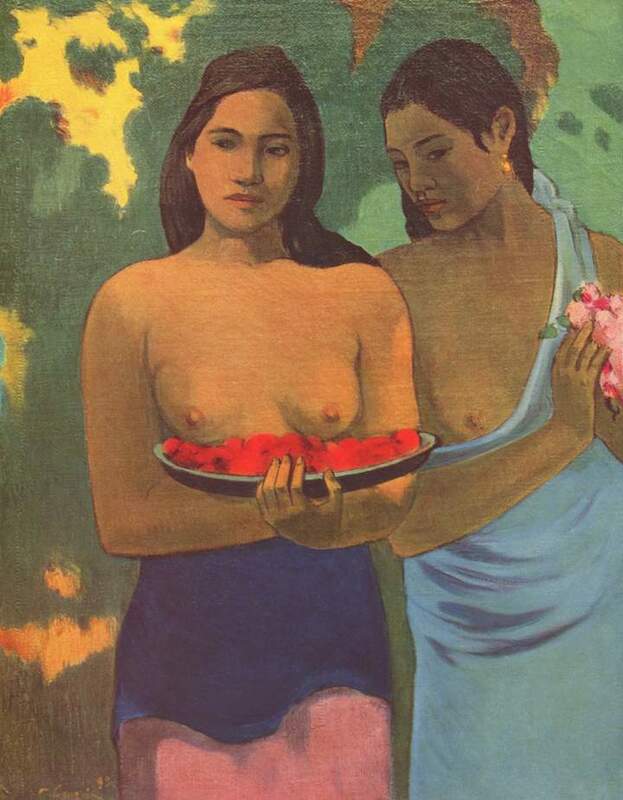 From the book, and from the frequent ideological attacks on the books, we learned about the sexual mores of Samoan culture, a big part of the mystique of the South Seas. 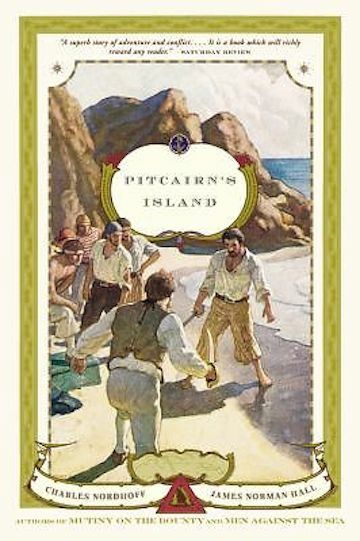 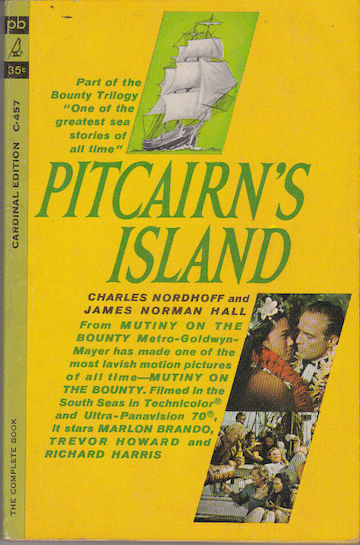 The 1930s saw publication of the Bounty Trilogy, Mutiny on the Bounty in 1932, Men Against the Sea in 1933, and Pitcairn’s Island in 1934. 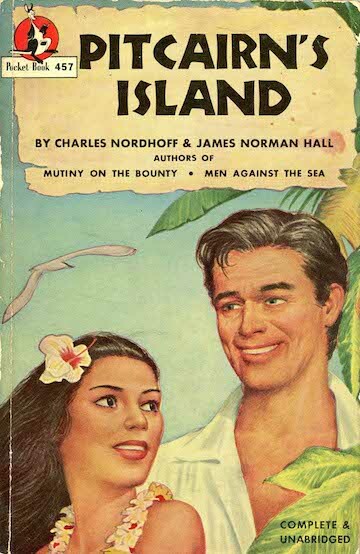 Faery Land authors Charles Nordhoff and James Norman Hall co-wrote the books. 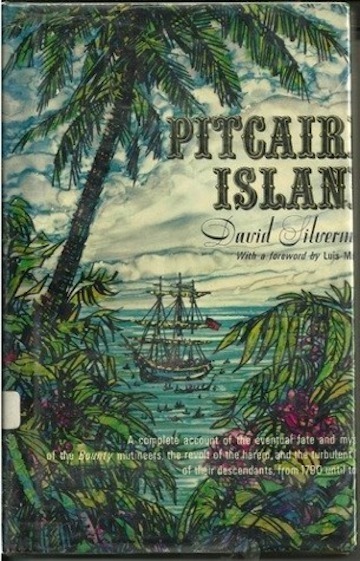 Pitcairn’s Island was set on land, with the South Seas islands portrayed as a Rousseauvian utopia. 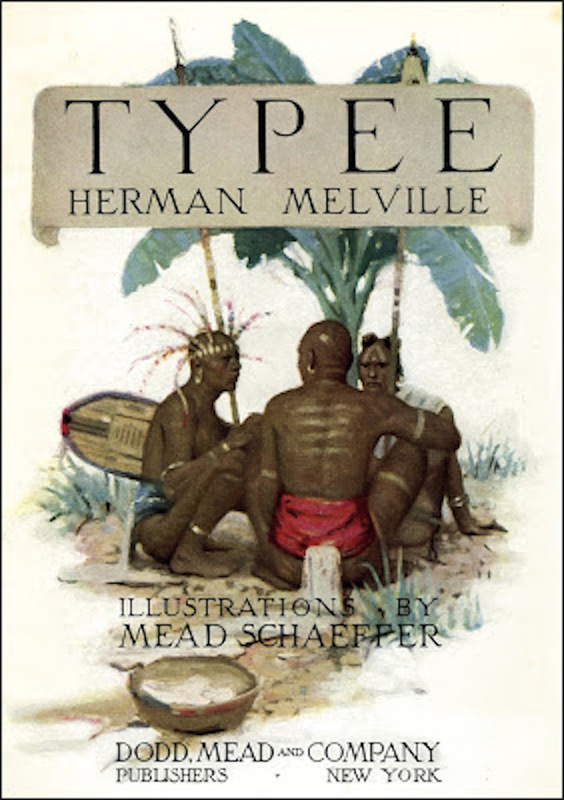 A new edition of the Trilogy was published in 1940, illustrated by N.C. Wyeth. 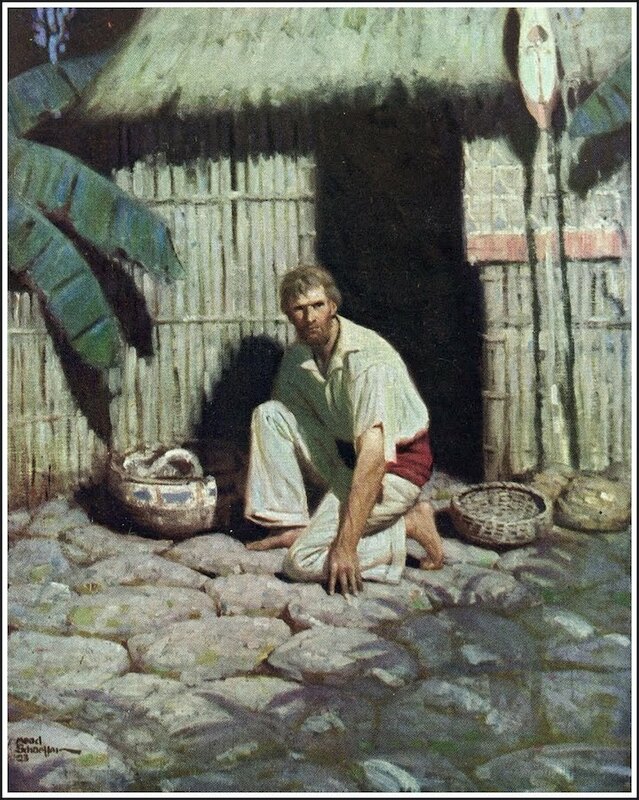 Wyeth was a friend of my grandfather’s, and the families celebrated Christmas together and spent at least one summer in Maine together. Which is neither here nor there. 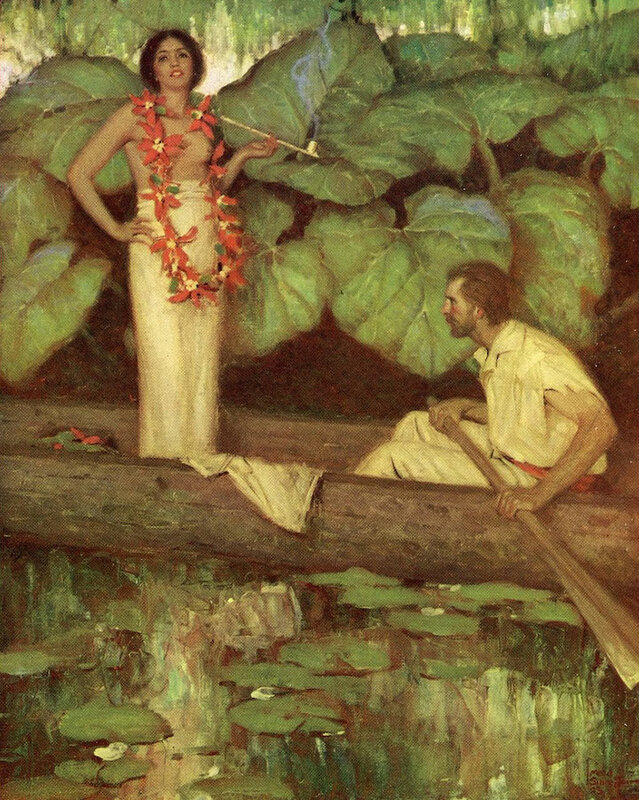 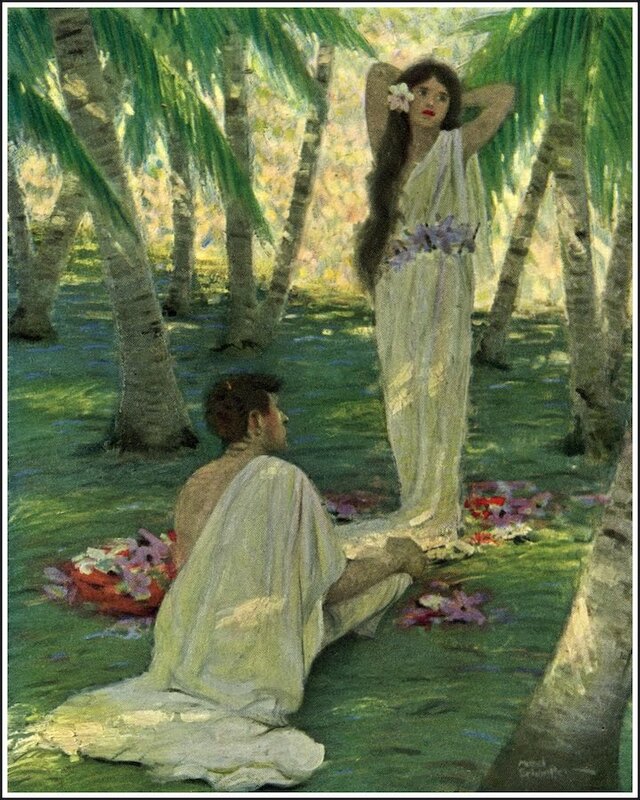 Wyeth’s classic illustrates powerfully support the view of exotic Polynesia. 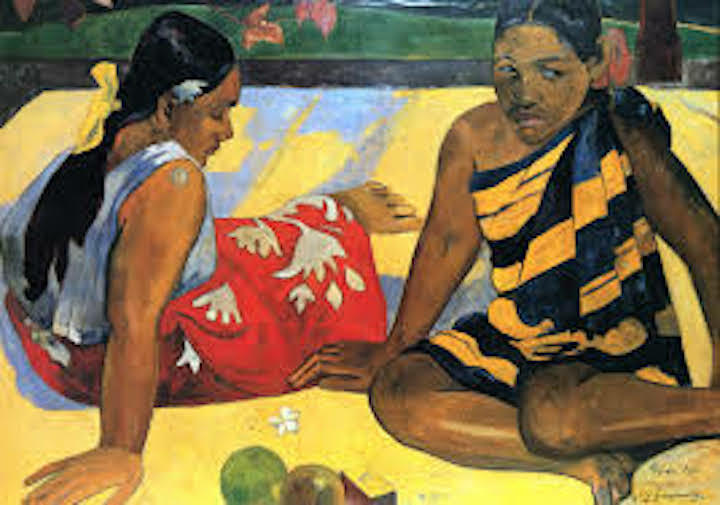 So there it is, the table set. 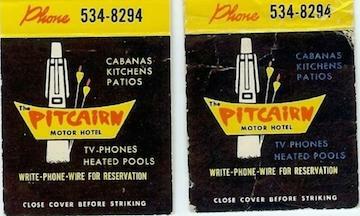 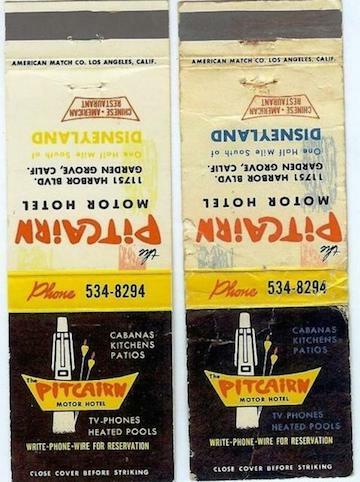 When Tiki culture hit, the ground upon which the seed fell was not barren. 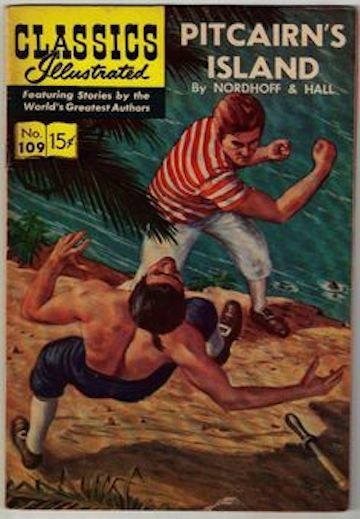 We had us some ideas already. 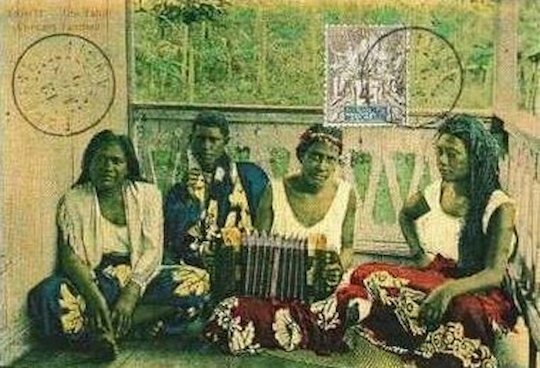 Right – Tahiti. 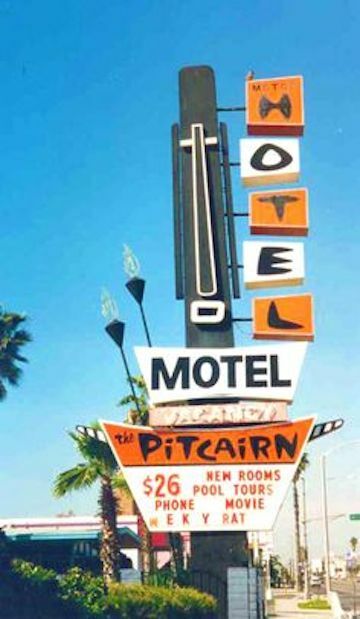 Indeed there are no accidents. 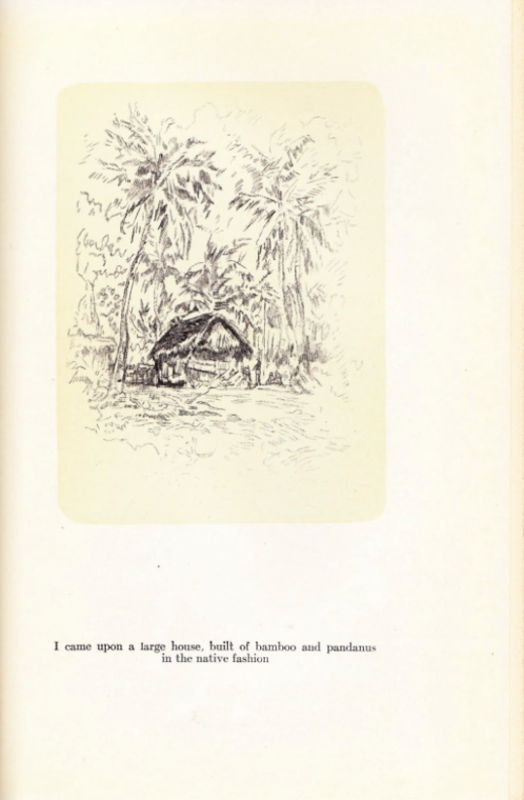 He was, of course, alluding to C.S. 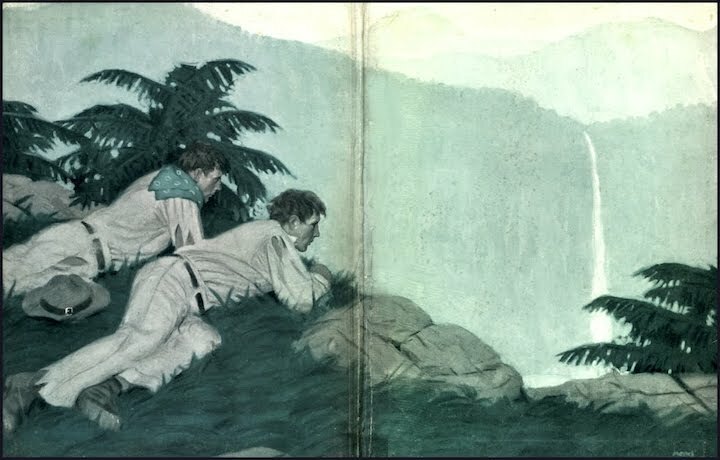 Lewis and The Silver Chair. Accordion postcard and Narnia references out of the way, what did he think of the pre-Tiki exoticized Polynesian images?